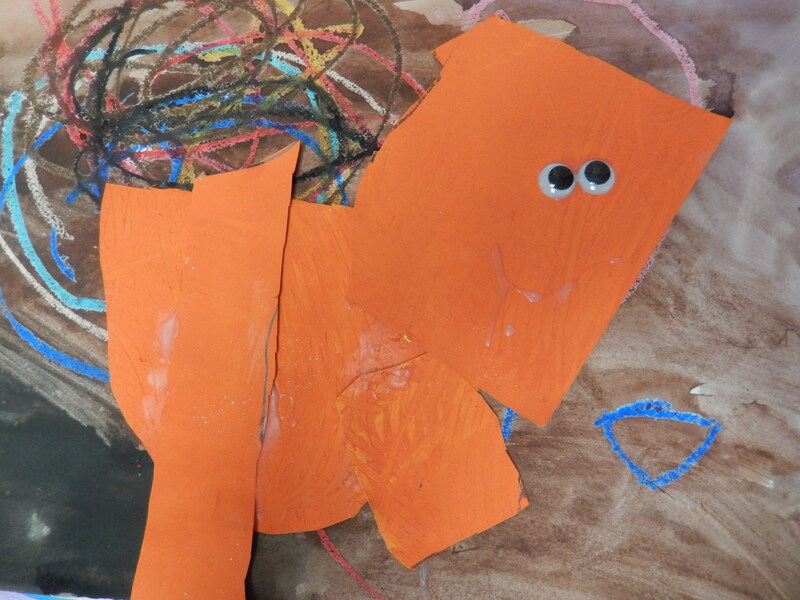 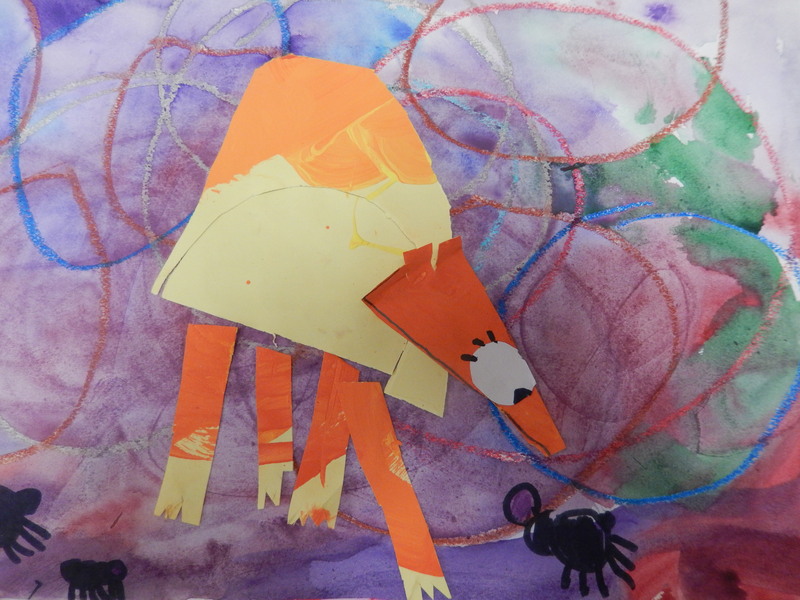 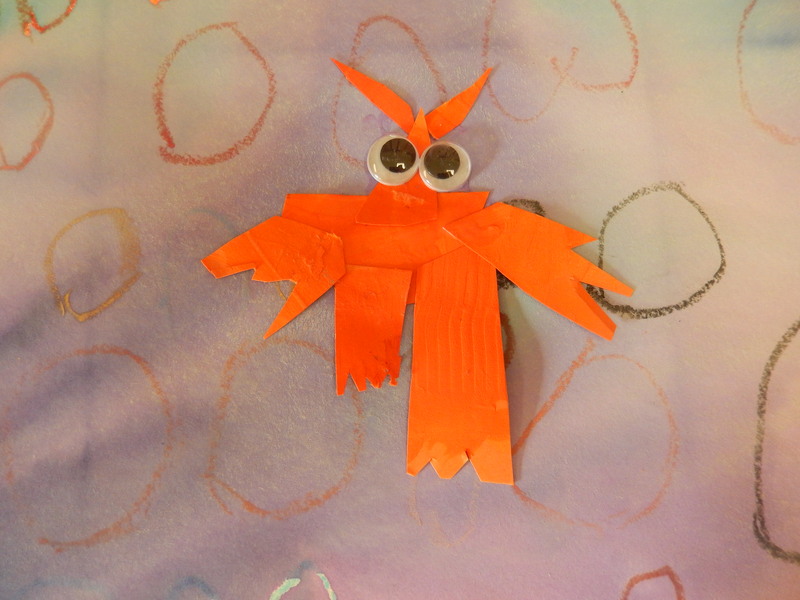 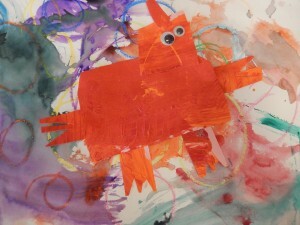 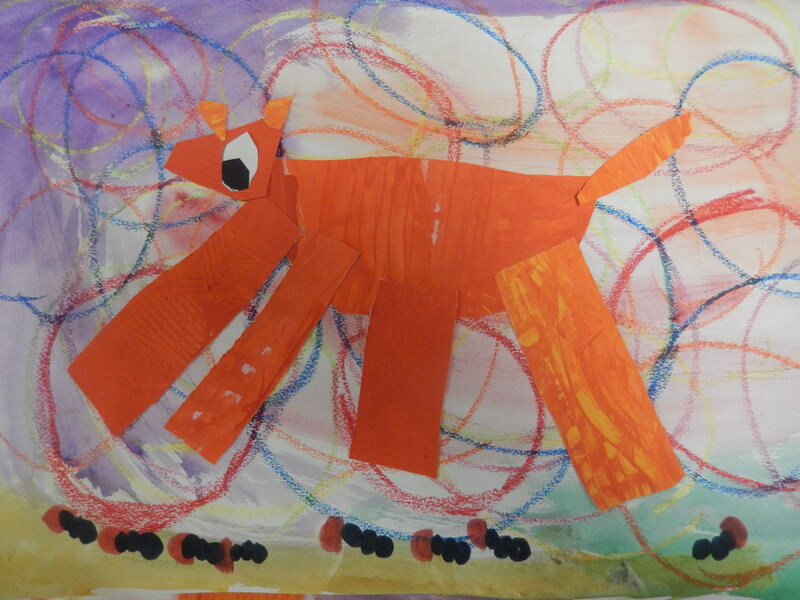 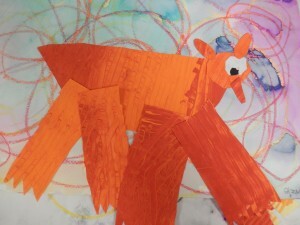 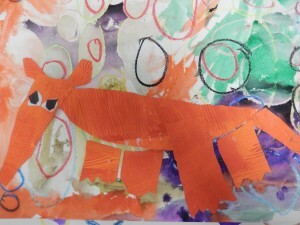 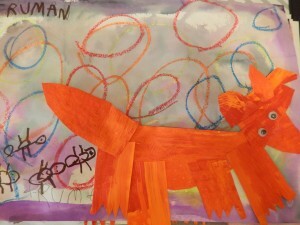 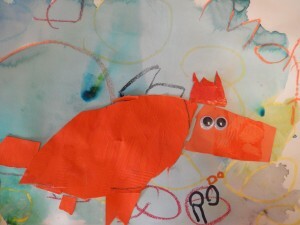 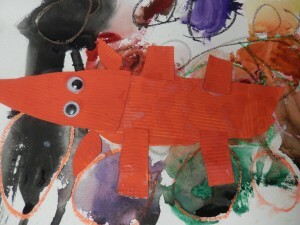 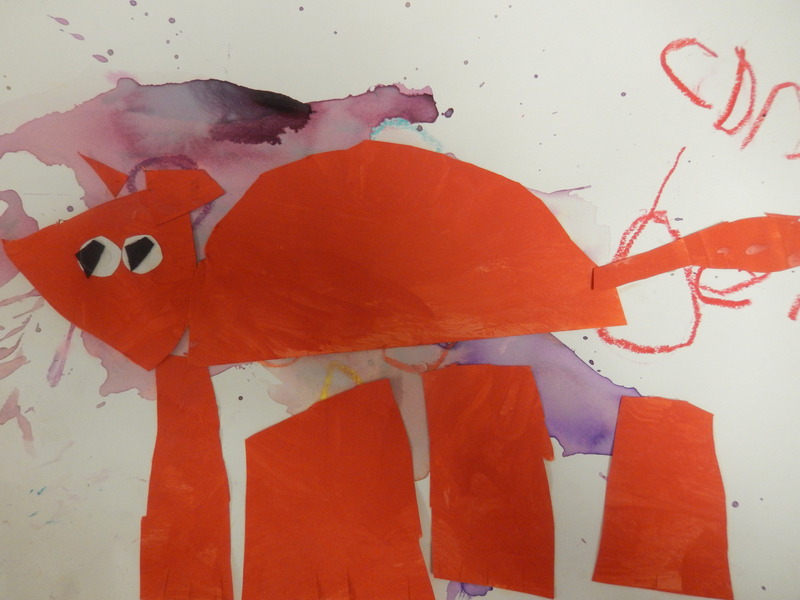 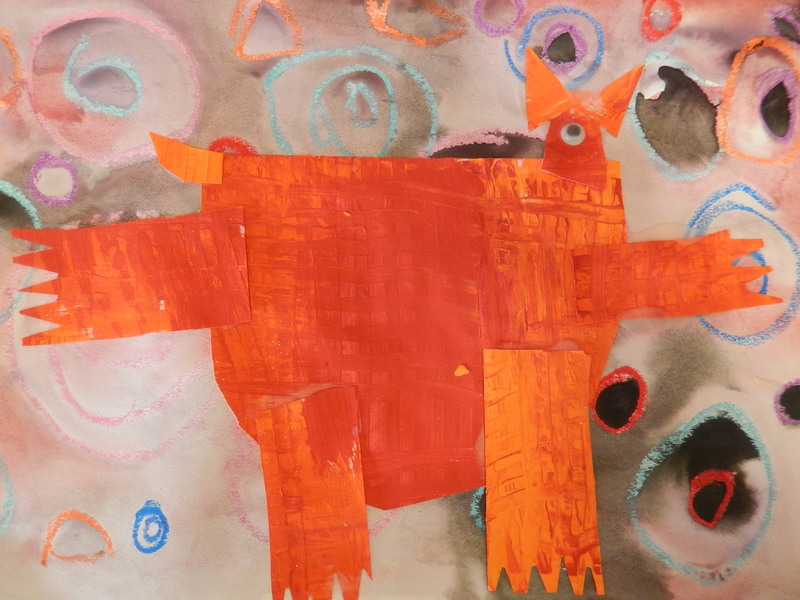 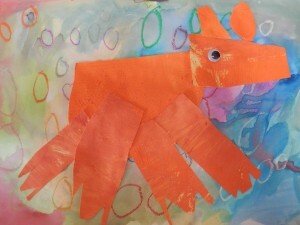 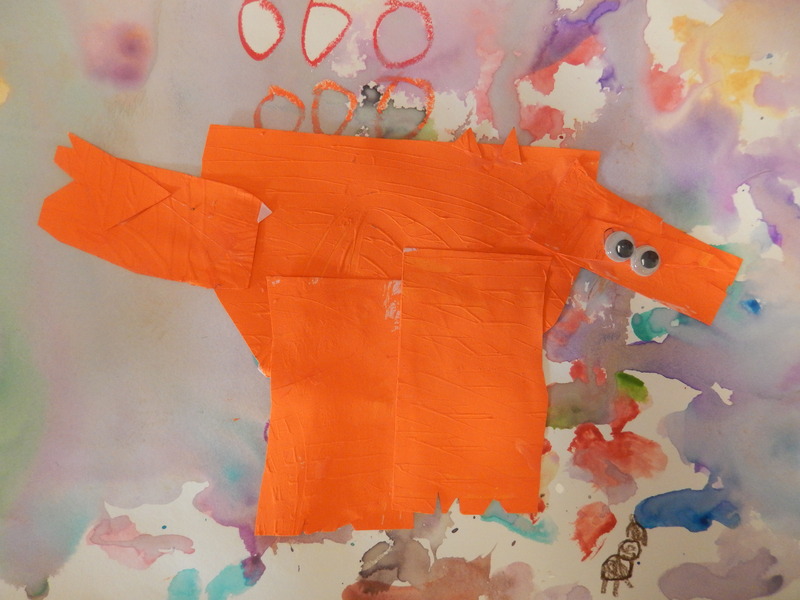 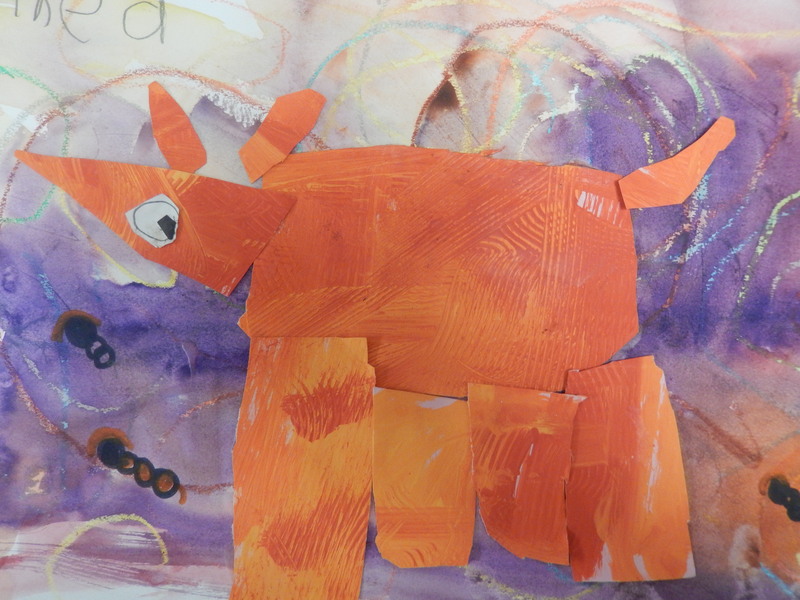 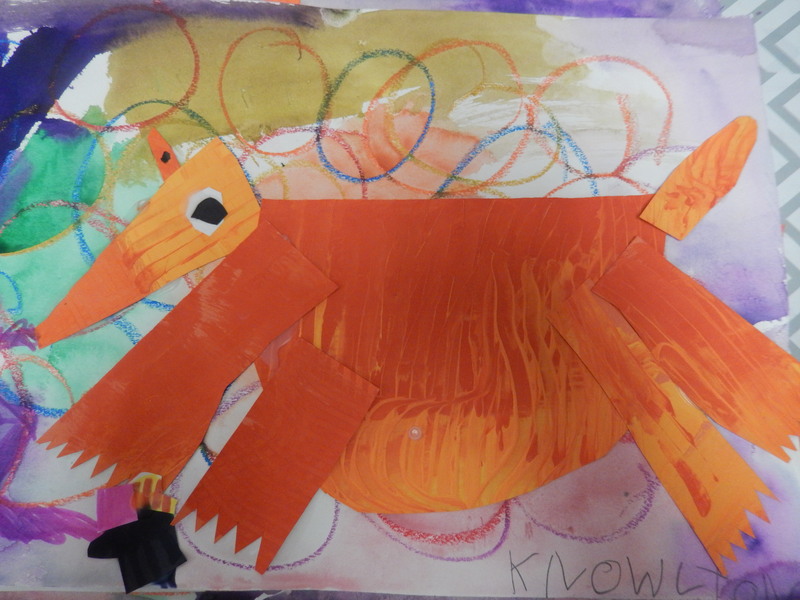 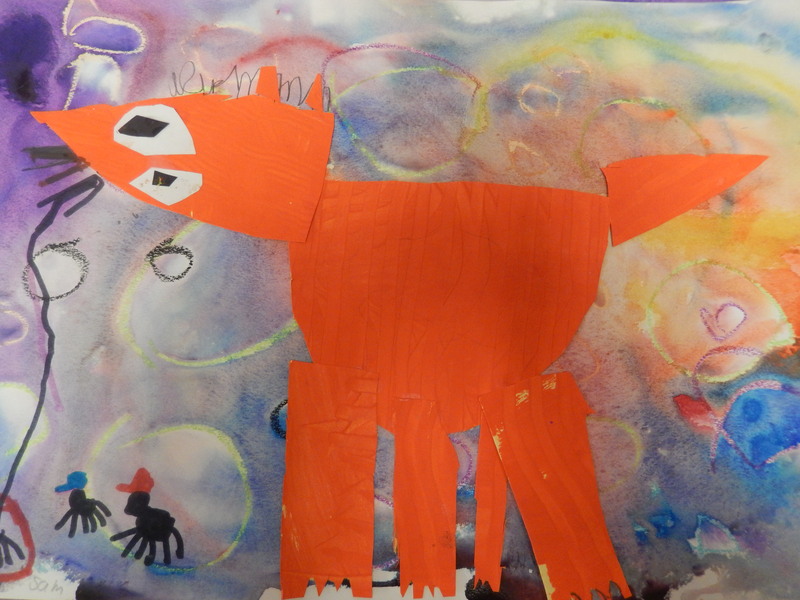 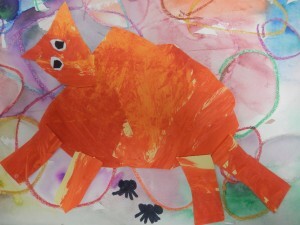 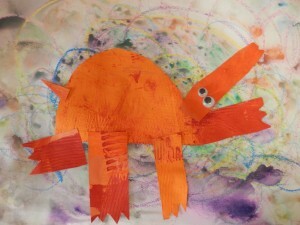 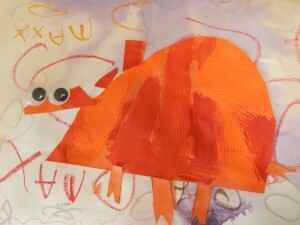 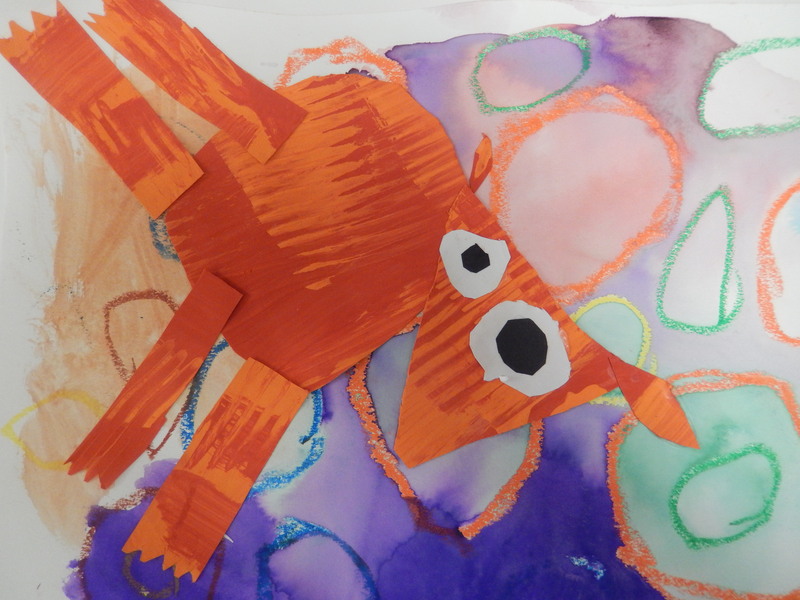 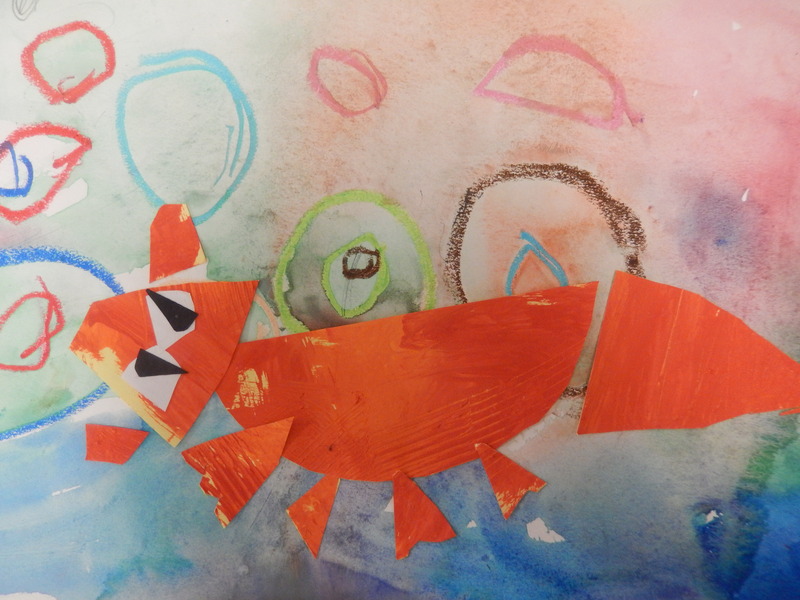 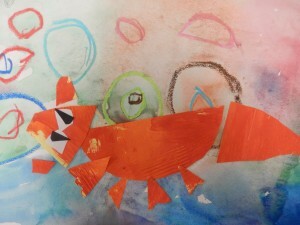 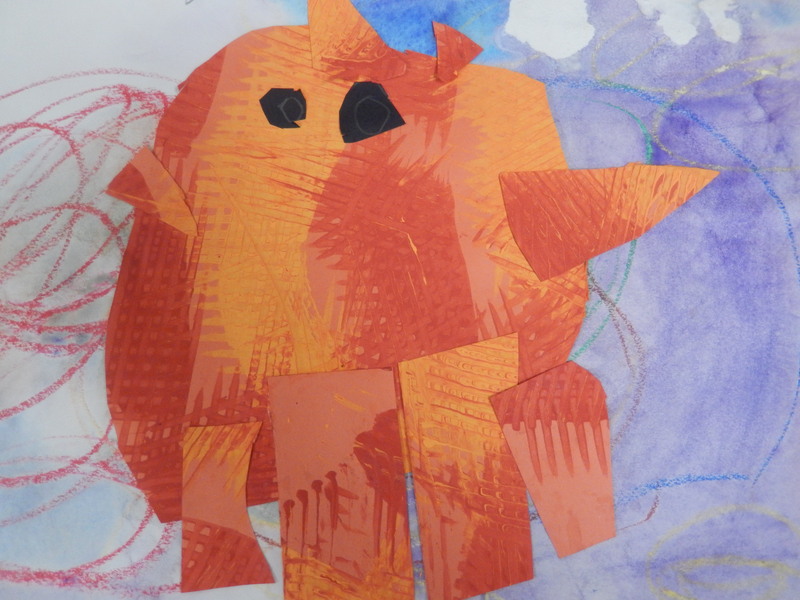 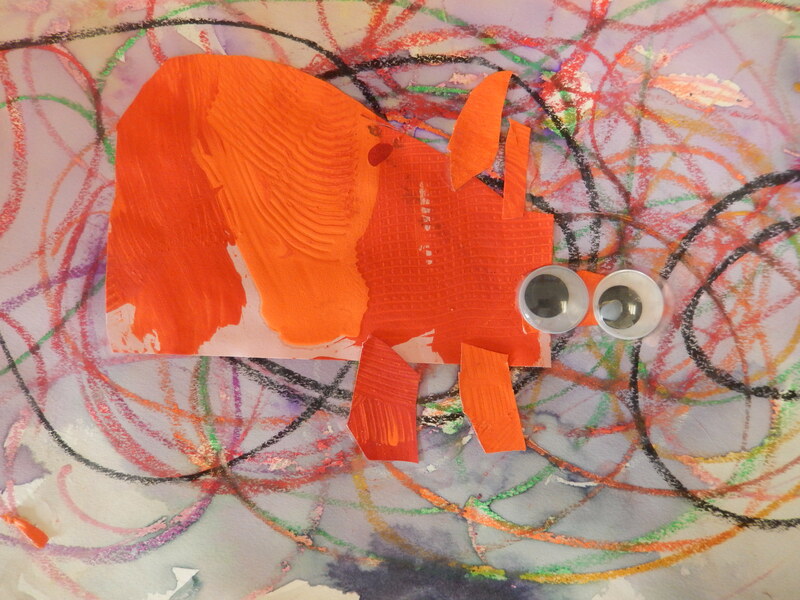 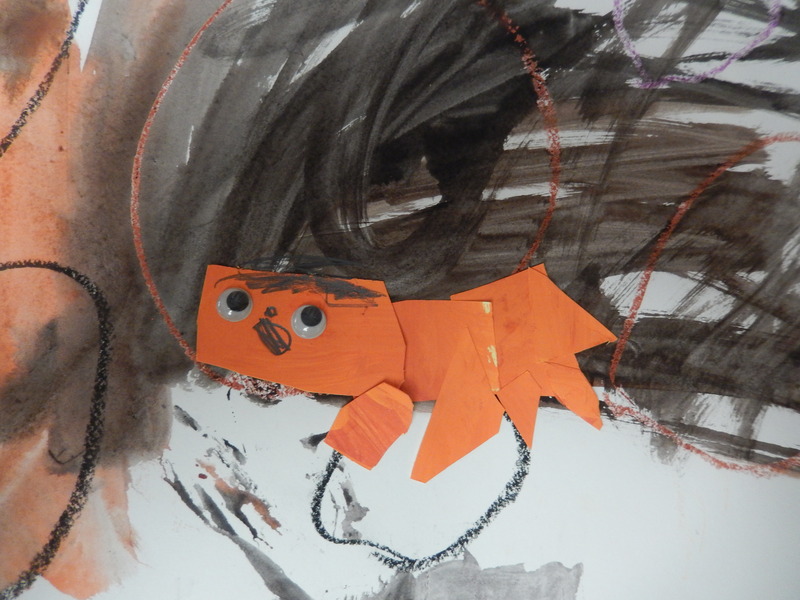 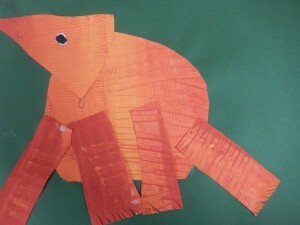 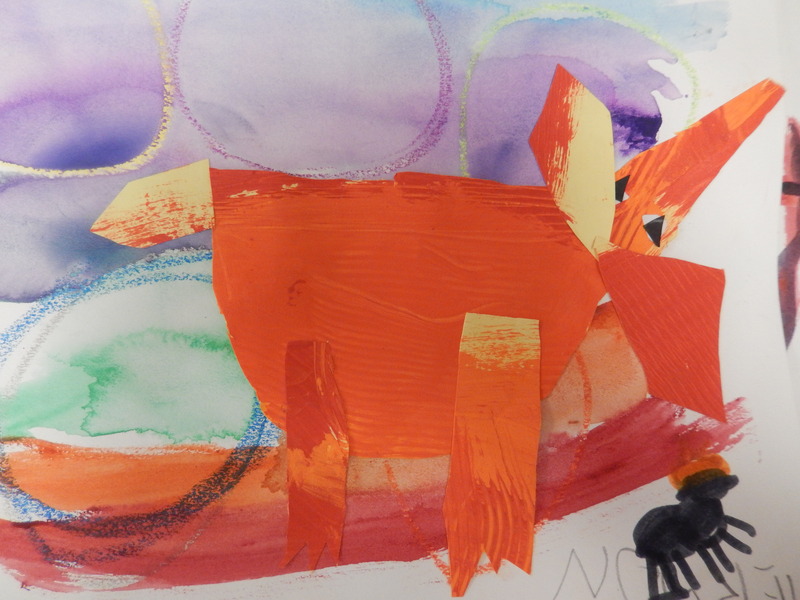 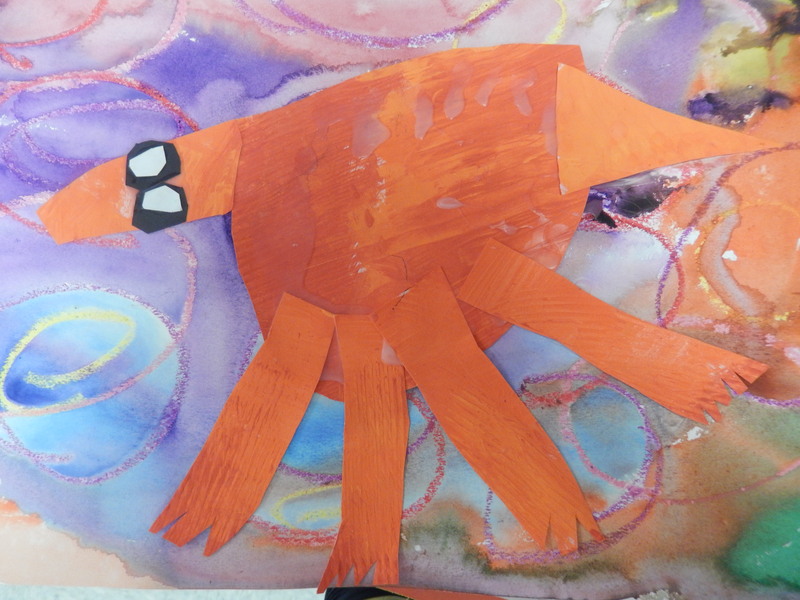 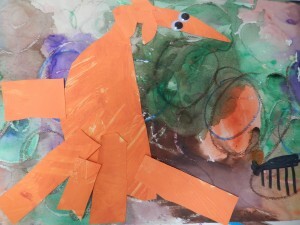 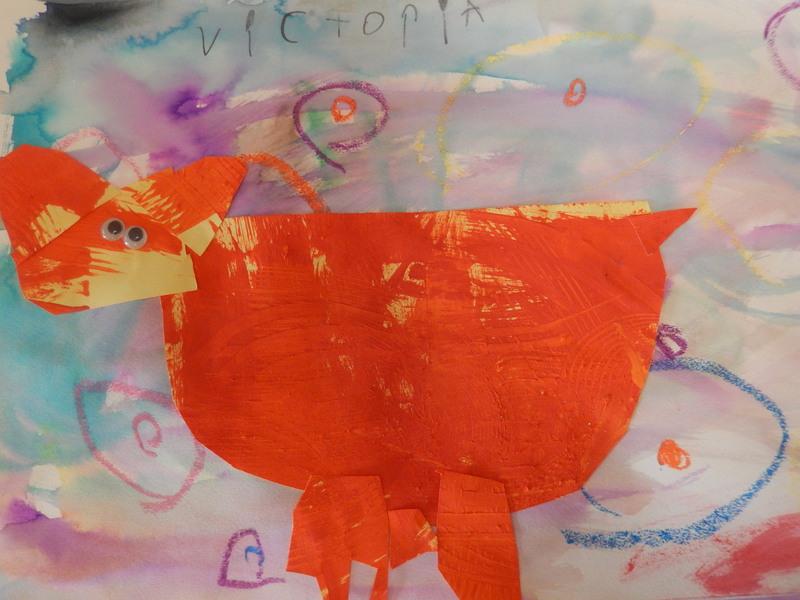 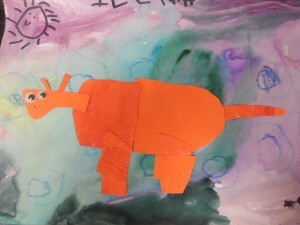 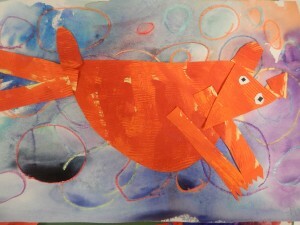 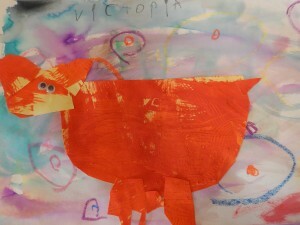 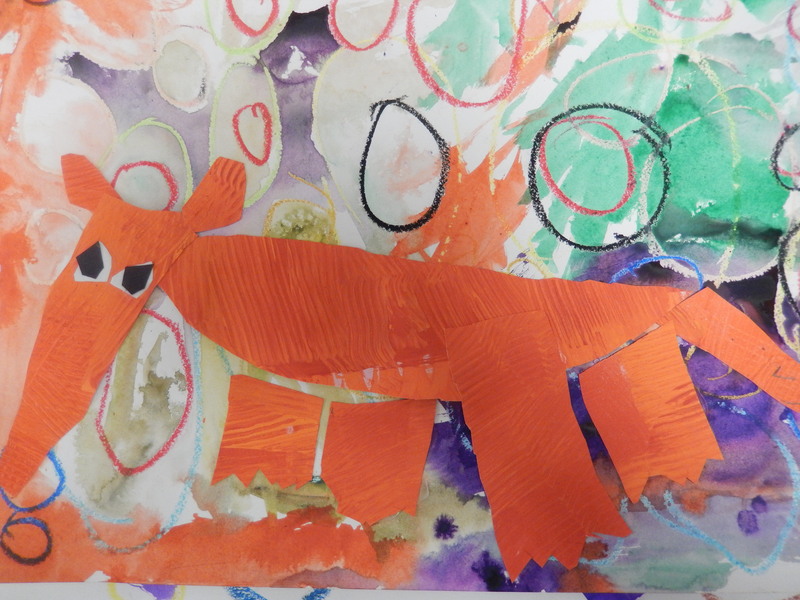 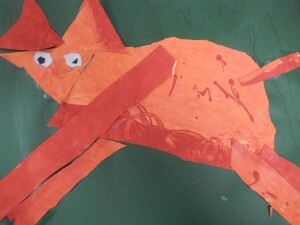 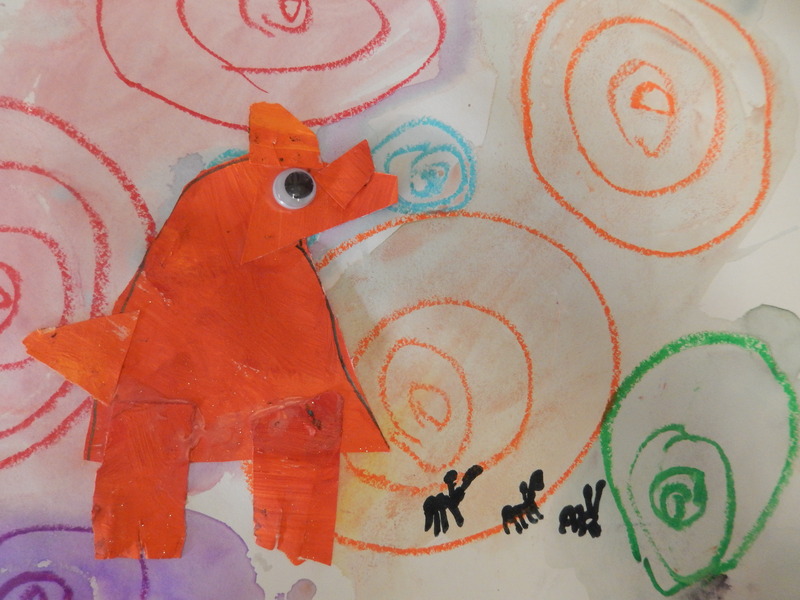 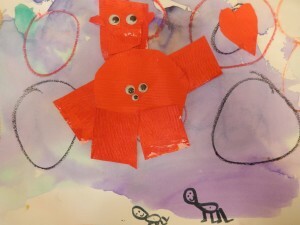 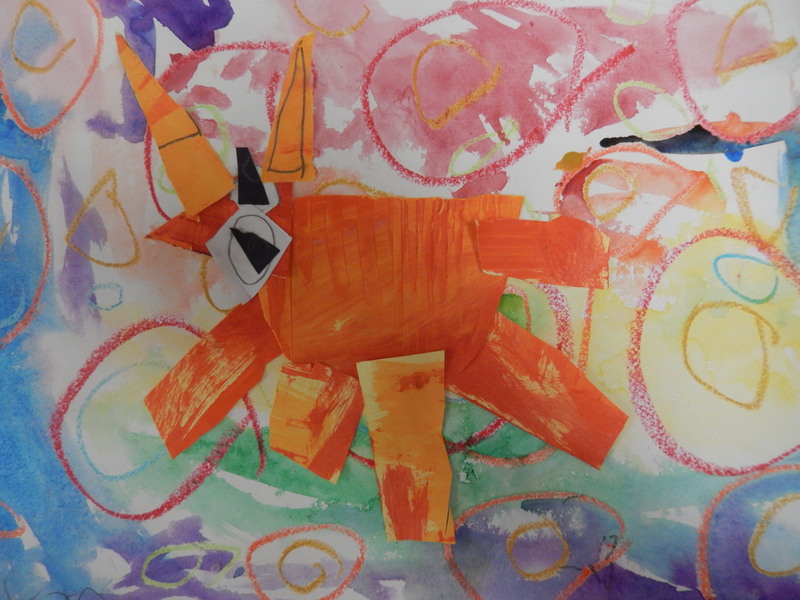 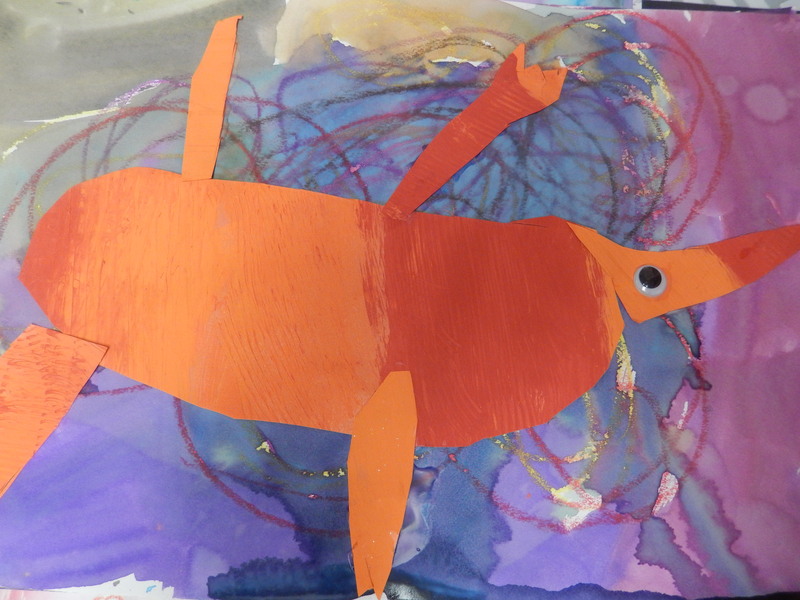 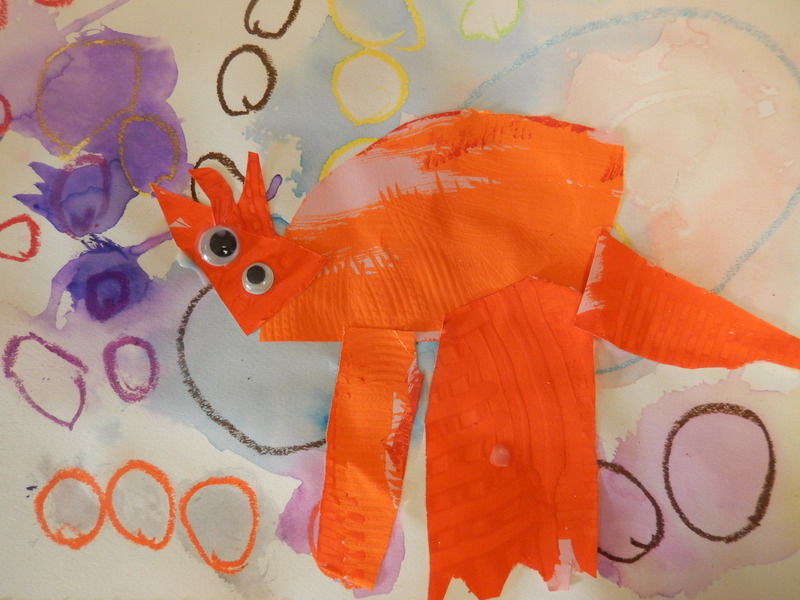 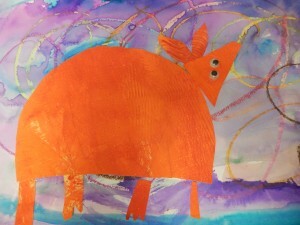 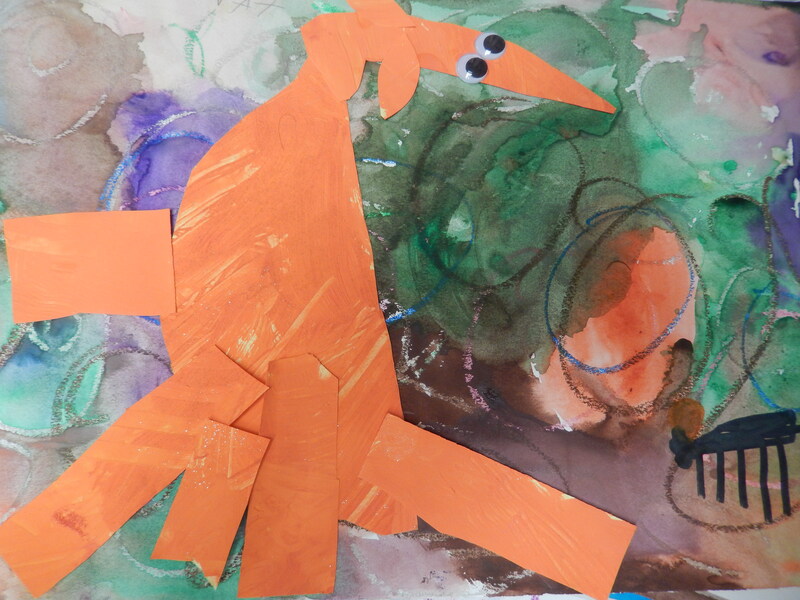 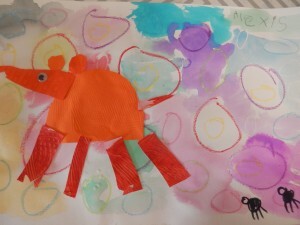 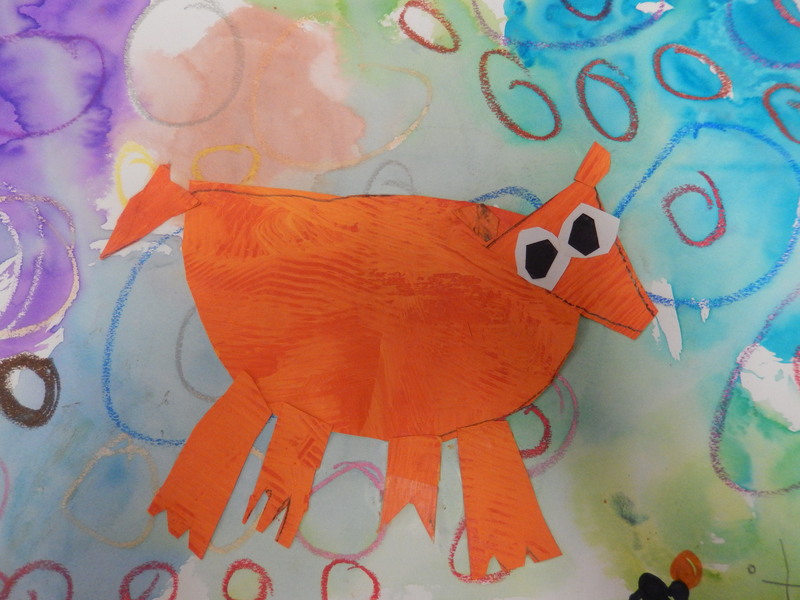 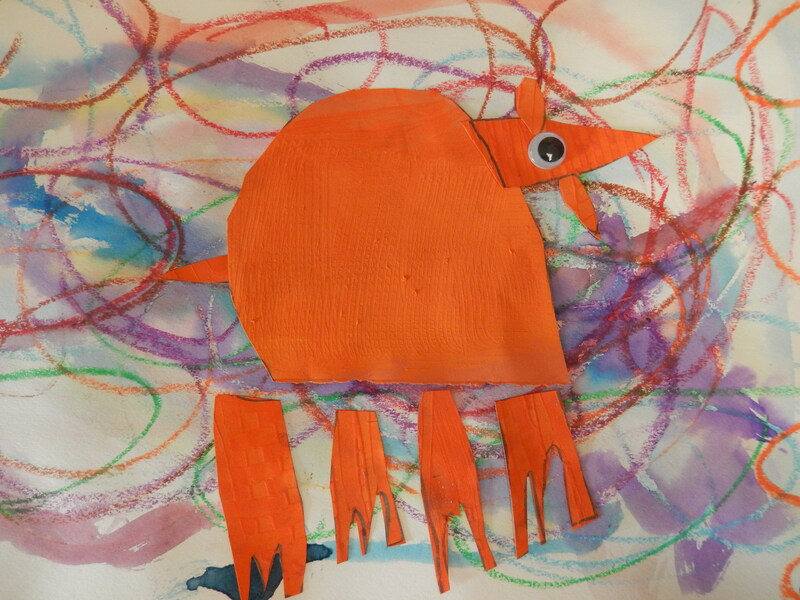 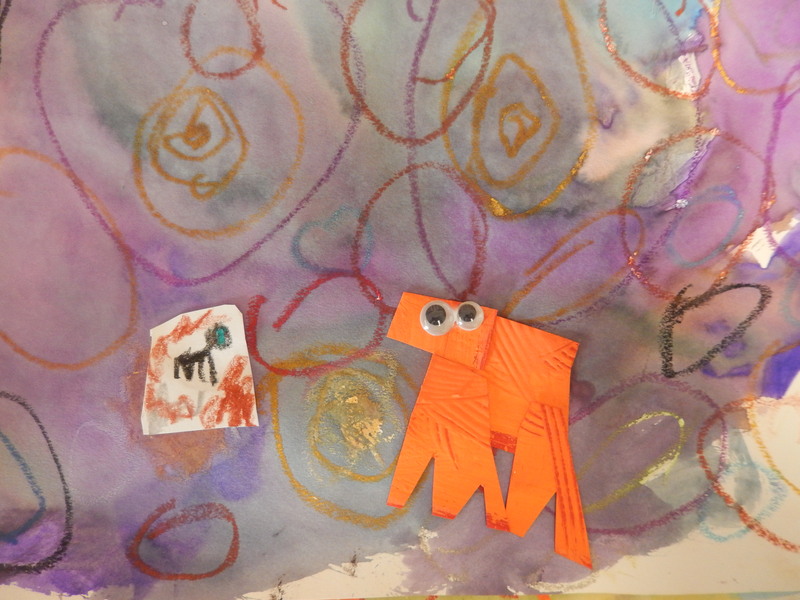 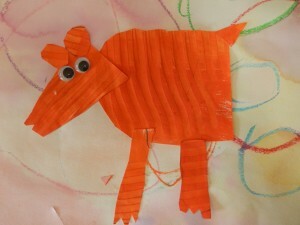 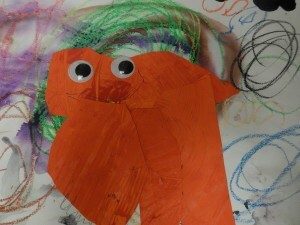 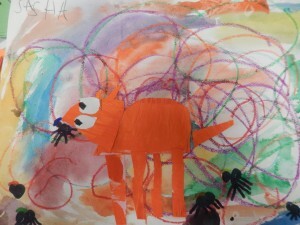 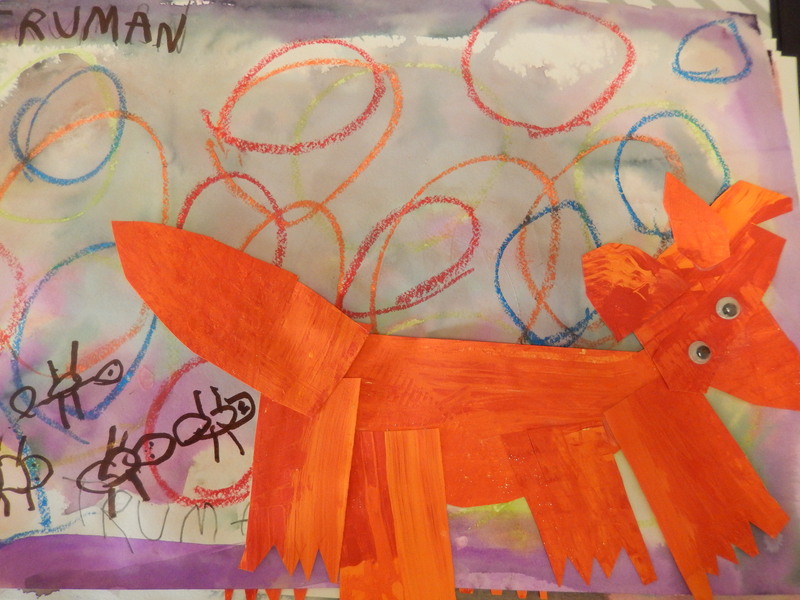 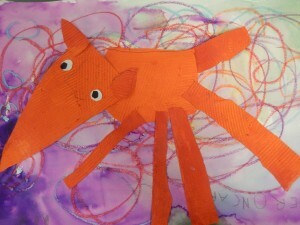 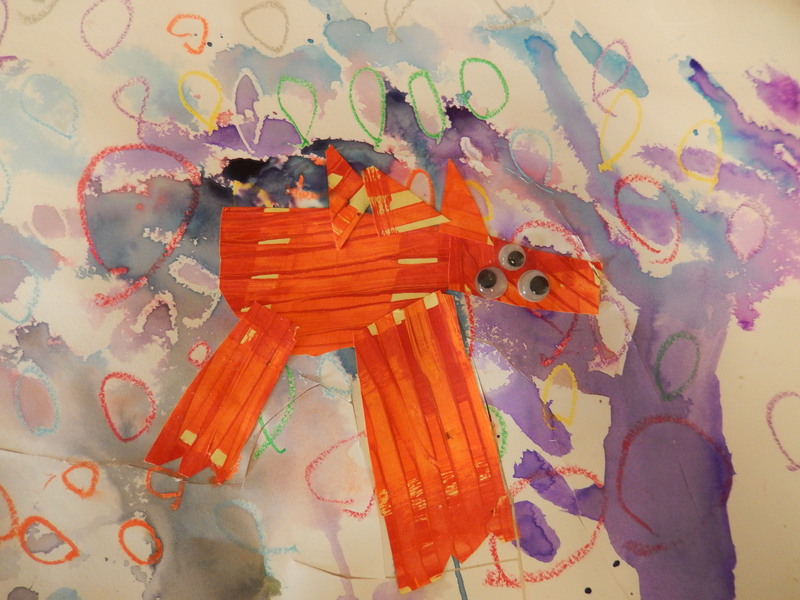 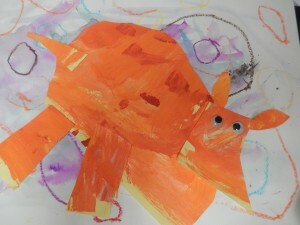 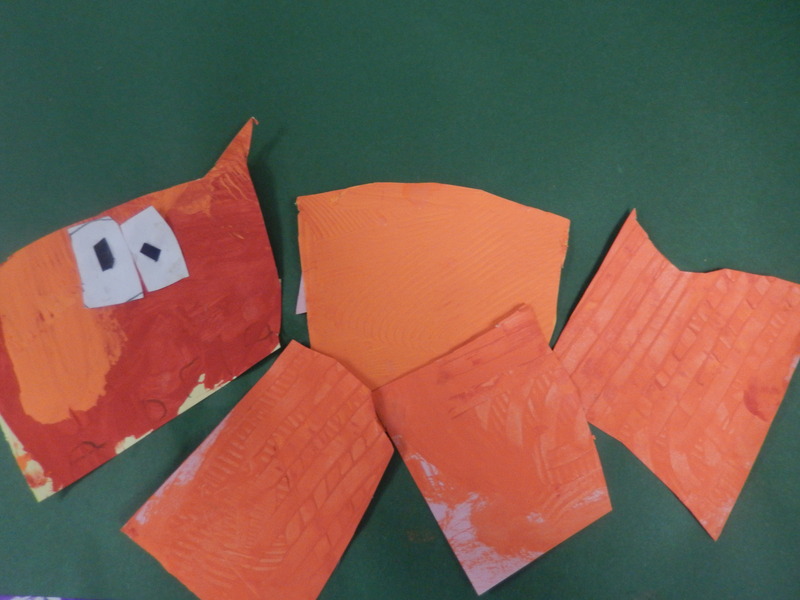 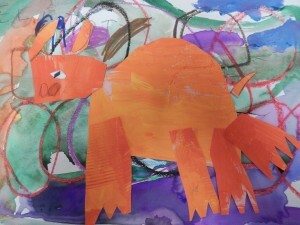 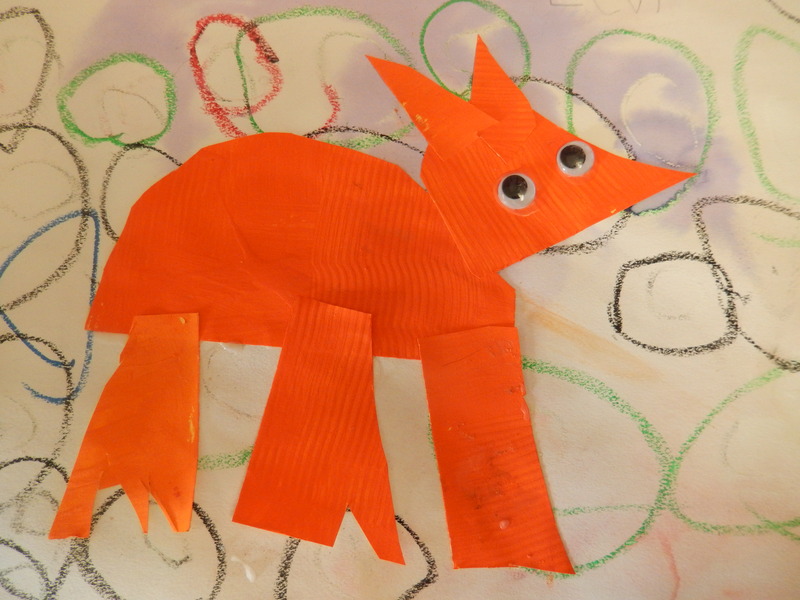 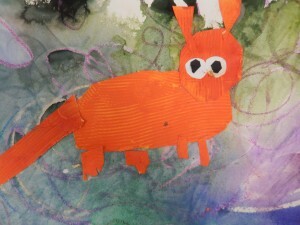 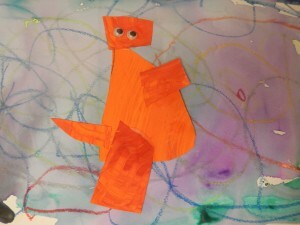 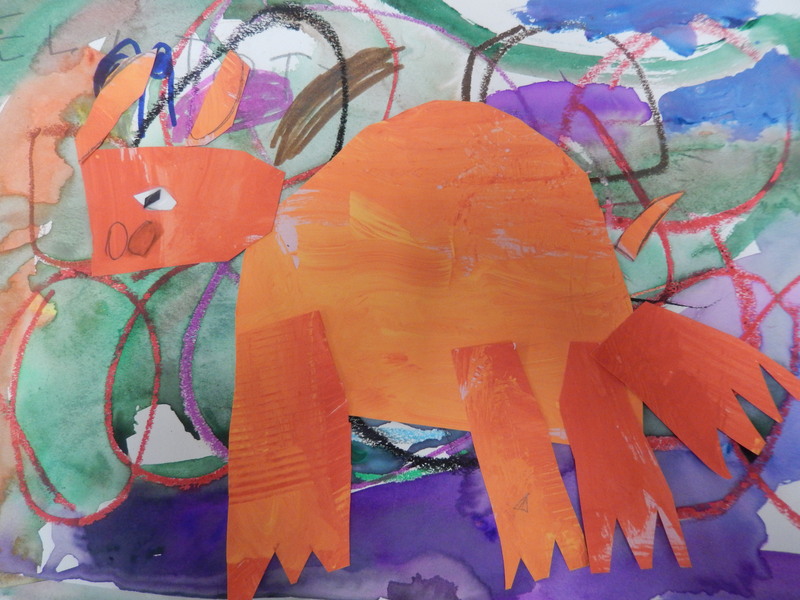 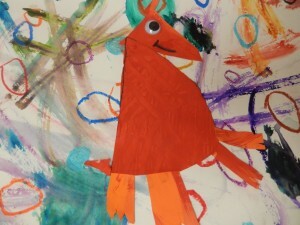 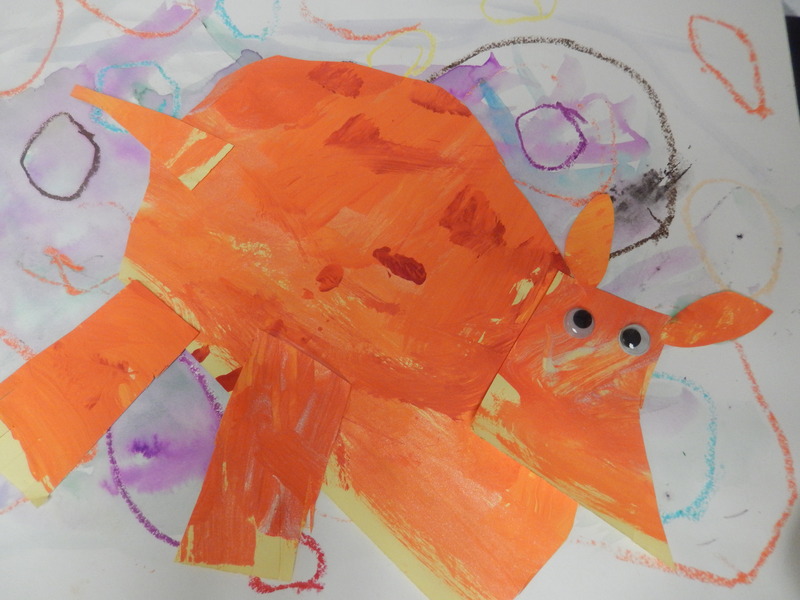 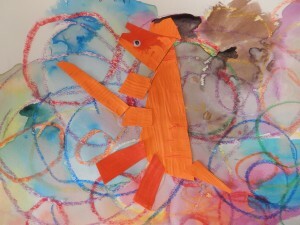 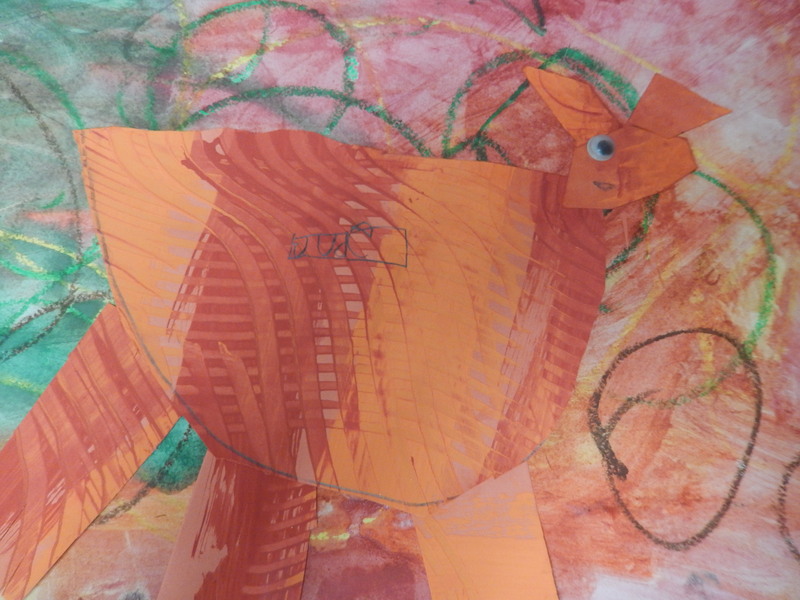 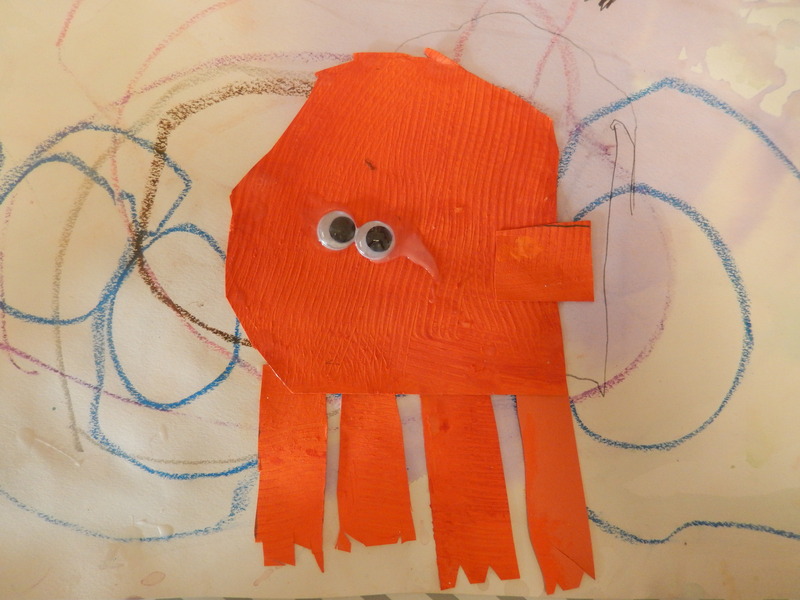 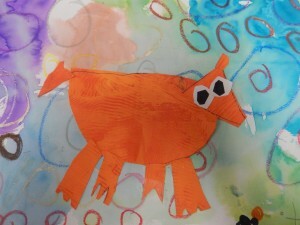 After reading It’s an Orange Aardvark by Michael Hall, kindergartners embarked on a fun and challenging art project. 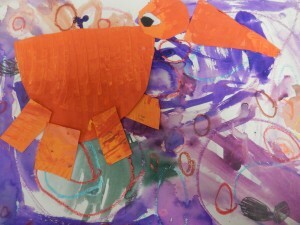 They created oil pastel and watercolor resist backgrounds, and then made their own textured orange paper. 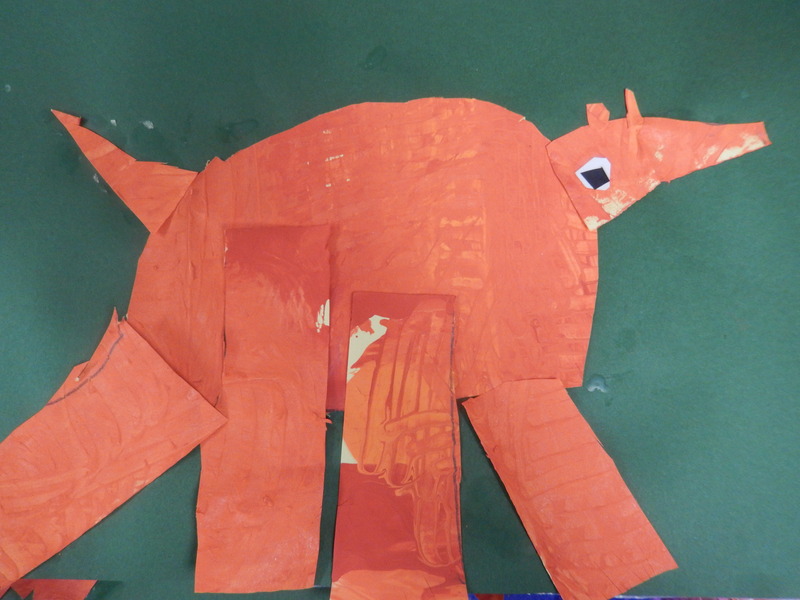 They learned to create an aardvark by cutting out and assembling simple shapes.